What could your day to day life be like if your home was automated? Smart home technology has come a long way and now it’s available and affordable. I wanted to create real life examples of smart home integration working together. Not just little gimmicky tricks but things that can actually make your life easier. Of course, this is the type of smart home that’s accessible. It works easily, is for sale right now, and doesn’t require you to code anything. I will try to keep this article up to date as the smart home industry evolves. You’ll notice that lots of this automation involves IFTTT (or If This Then That). It’s a free third party app that makes smart home tech work together. 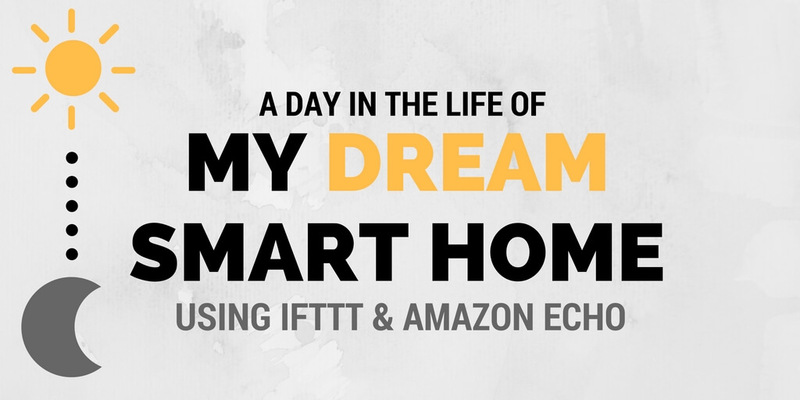 Before you buy any smart devices, make sure they are IFTTT compatible so that they can make your smart home integration as easy as possible. Forget loud alarm clocks. Have your lights slowly turn on for a more peaceful awakening using LIFX smart light bulbs. Their white bulbs are adjustable with warm to cool whites that will make waking up way more comfortable. Wake up to warmth. Trying to get out of bed when it is cold is miserable. Using a WeMo Switch you can turn on your space heater right before you wake up. You could also ask a few other helpful questions. If it’s raining, then make sure your RainMachine smart sprinklers won’t run and waste water. If you are about to leave for the day, there are a few of things you need to remember before walking out the door. In a perfect smart home, it’s easy to automate some of these tasks. You won’t even need to remember to say anything to Alexa, because once these are set up, they will work automatically as soon as you leave home. Use your thermostat less. For example, you can change your Ecobee3 thermostat to make sure you don’t waste energy while your house is empty. Using this IFTTT recipe, your thermostat automatically adjusts itself to your pre-determined levels (i.e. 80 degrees, or whatever you want) when it notice your phone’s location is at your work. Arm your security camera or system. Automatically arm your security system when you leave everyday. One of my favorites is the Piper security camera, which has a built in 105-decibel siren that can connect to Z-wave door sensors for full home security protection. It also doesn’t have monthly fees, making it way less expensive than a monitored system like ADT. Find out more in our Piper security camera review. Turn off your lights. Most smart lights will be able to do this, but LIFX is one of my favorites, since it doesn’t have a hub and has strong smart home integration with other products. The system of leaving a note on the door for a missed package is pretty terrible. 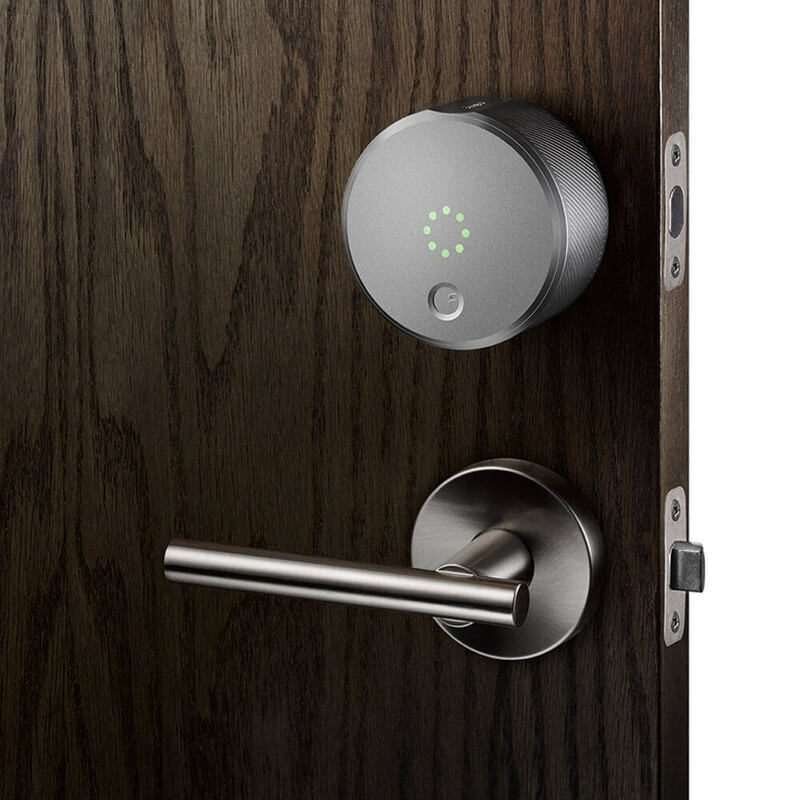 Smart home integration lets you see who is at your door and even let them in. 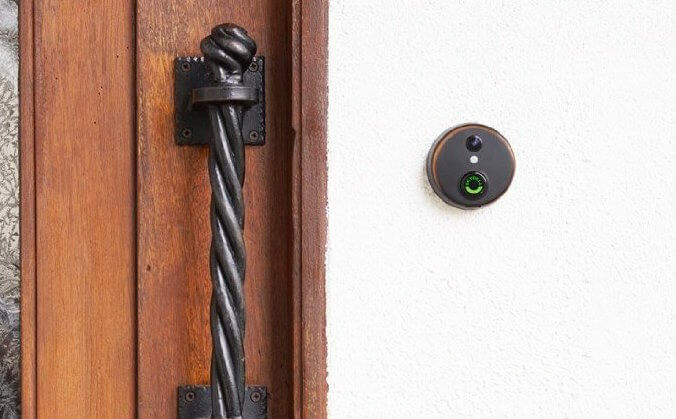 When someone walks up to your door or rings the doorbell, Skybell doorbell camera will notify you on your smart phone. Then just use your August smart door lock app to unlock your front door, let the deliveryman put the package inside, and re-lock the door after it closes. You also have the option to view who is at your door on your Skybell and open your garage door for a delivery using Home8’s garage door kit. Here’s our full review of Home8 smart garage. If you have a lazy dog or cat like I do, it’s nice to keep track of how much they lay around during the day, in case you need to give them more exercise. This IFTTT recipe lets you use your Nest Cam to automatically log when your dog gets off the couch during the day into a Google Drive spreadsheet. There are plenty of other smart devices for feeding your pet or even entertaining them with a laser pen while you’re at your desk. Check out the pets section near the bottom of our article 21 Essential Smart Home Projects for Beginners. After you’re exhausted from a long day at work, chores around the house usually feel like your worst nightmare. These little smart home integration tricks around your house transform your end-of-day routine into simply walking in the door. When I leave work, I want to notify my wife via an automatic text. This is easy to set up with IFTTT, especially if you have an Android. Turn the air back on and disarm your security via these IFTTT recipes. 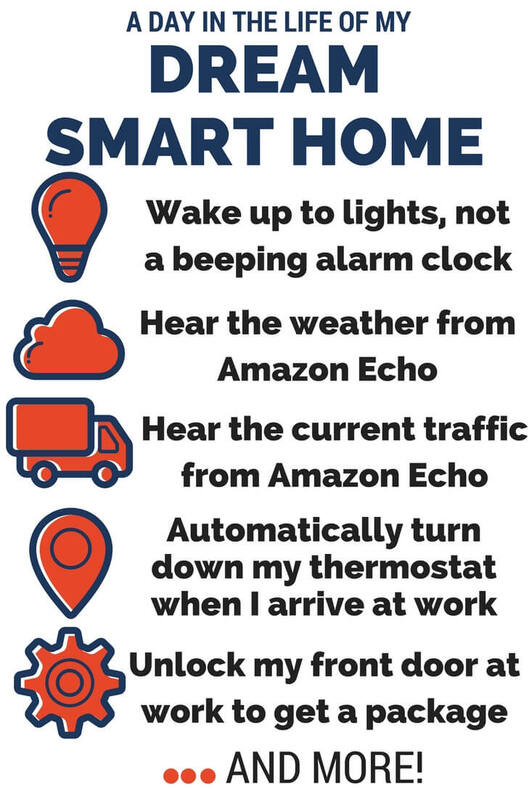 Since they already turned on automatically when you left for work, you might as well have them automatically turn off when you get home. Automate anything using a WeMo switch. 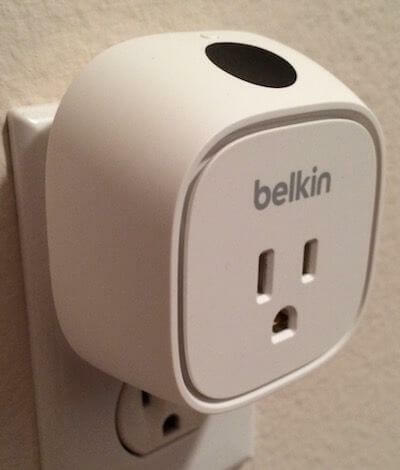 WeMo makes anything that plugs into an outlet smart. If you bike home, you can automate your box fan to have it turn on when you walk in the door. If you want to come home to hot tea or coffee, have it start brewing when you walk in the door. WeMo is designed for smaller appliances, so don’t plug it into your fridge or anything too huge. Ahhh, the post-work Netflix binge. Whether you’re relaxing on your own, hosting a movie night, or just trying to impress a date, you can easily automate your home’s movie mode with smart home integration. Alexa, tell Blumoo to press volume up. Alexa, tell Blumoo to go to channel 12. Alexa, ask Blumoo what’s on channel 6. This last command will have Alexa read the TV guide description. These coordinated IFTTT recipes work through Mosiac, a smart home software dedicated to making everything work together. 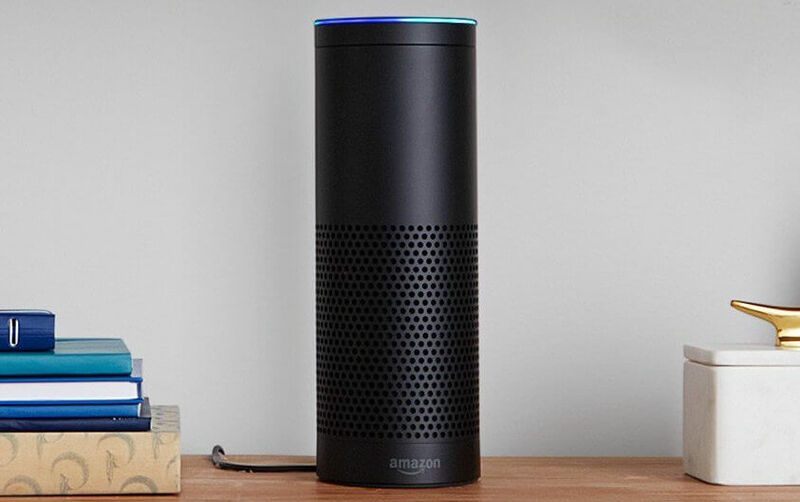 It’s a newer service, but one that is needed to streamline Amazon Alexa devices to make the commands more simple. It’s time to make sure my home is armed and safe for the evening. These are the recipes I would use for securing my home and making it comfortable. 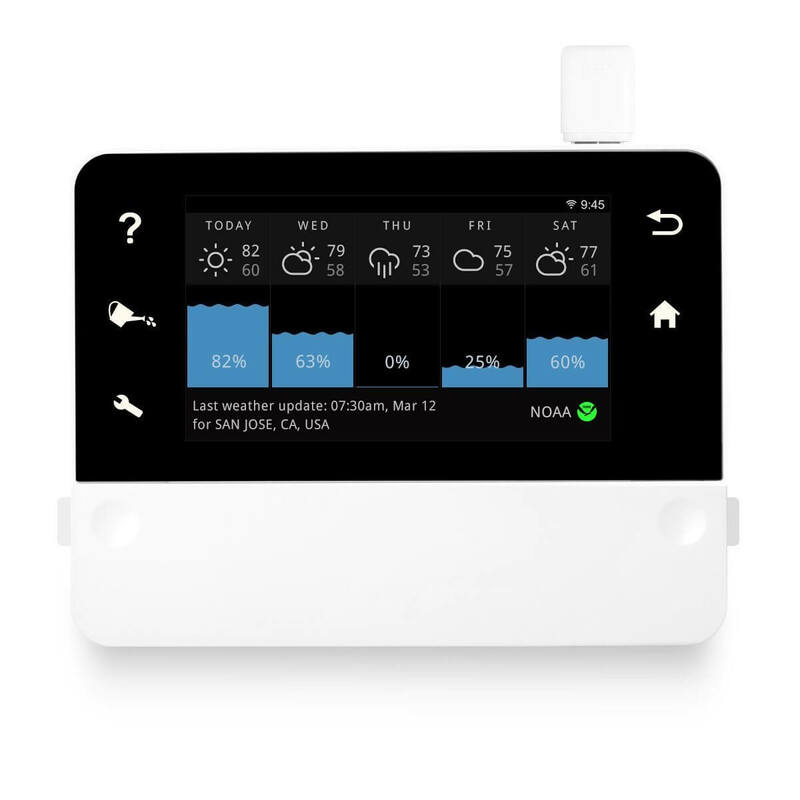 What other smart home integration ideas are out there? Have any good IFTTT recipes or integration I should know about? Let me know in the comments!